There is much debate as to which Pokemon Type in Pokemon Go is best at Defense or which Pokemon Type is able to resist the most damage. It is very difficult to say, mainly due to two factors. #2. Each Pokemon Type Has Strengths & Weaknesses: Fire Defends well against Grass, Grass Defends well against Water, and Water Defends well against Fire. Therefore, there is no "Single Best Type" in individual battles. I already did some analysis on the Best Offensive Pokemon Type, and so I decided to find out what the Best Defensive Pokemon type was as well. In order to do so, I broke down the Type comparison into three categories. #1. 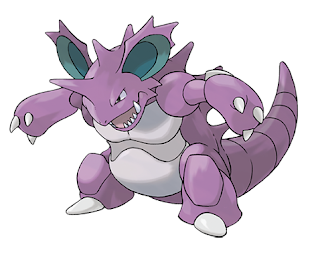 What is the Greatest % of Pokemon Types "Not Very Effective" against this Type? #2. What is the Fewest % of Pokemon Types "Super Effective" against this Type? #3. Which Type had the highest average of the two Defensive Ranking Metrics? After breaking it down, the Top three most popular Types of Pokemon are Poison, Water and Normal Pokemon. The least popular Types of Pokemon are Fairy, Ice, Ghost, Dragon, Steel and Dark Type Pokemon. Next, I decided to create a chart which illustrated which Type was most resistant against the moves of Most Generation 1 Pokemon. After doing some research I learned that Steel Type Pokemon are very strong defensively when compared to other Pokemon. It turns out that the majority of Pokemon Types are "Not Very Effective" against Steel Types. To be exact, a whopping TEN different Types of Pokemon are "Not Very Effective" against Steel Types. 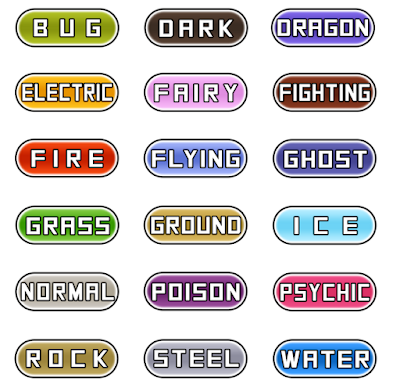 These Types include Normal, Grass, Ice, Flying, Psychic, Bug, Rock, Dragon, Steel and Fairy! In addition to these ten Types, Poison Type moves have no effect on Steel. These "Not Very Effective" Types make up more than 90% of all Generation 1 Pokemon. Rock and Ghost Types came in at a distant second and third place. Ice and Normal Types did not fair very well in this ranking. In this second Defensive ranking category, Ghost Types came in at #1. This is simply due to the fact that Ghost Type & Dark Type moves are "Super Effective" against other Ghost Types. Ghost Types only make up approximately 2% of all Generation One Pokemon and Dark Types are nonexistent in the first Generation of Pokemon. Grass Type Pokemon fair the worst in this category as Fire. Ice, Poison, Flying and Bug Types are all Super Effective against Grass. Combined, these five Types make up more than 50% of all Pokemon! Although Steel Type Pokemon ranked first overall in the "Not Very Effective" Defensive category Steel only ranked at #11 in the second category. Dragon, Poison and Water ranked relatively high in both Defensive categories, but there was only one clear cut winner as Strongest Defensive Pokemon Type. 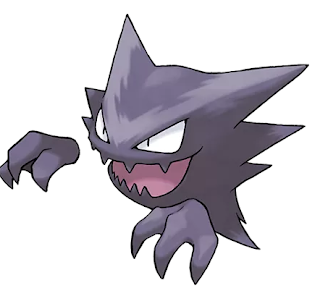 Coming in at the Best Defensive Type Pokemon is... Ghost! Although not the best on both charts, Ghost Types Rank #1 in Defense Overall. Moves from almost 50% all of all Pokemon are "Not Very Effective" against Ghost Types. In addition, only 2% of all Pokemon have moves that are "Super Effective" against Ghost Types. This means that Ghost Pokemon have an equal or favorable defensive matchup against 98% of all Generation One Pokemon! Be sure to check out the Strongest Offensive Type Pokemon, or see below for other Pokemon Go related articles. 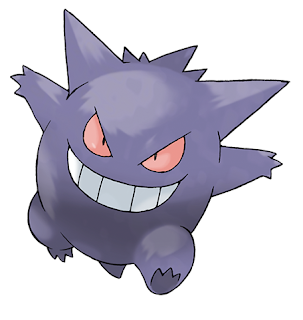 My question is, since pokemon Go only has first gen pokemon and Gengar is Half Poison and there are no other only Ghost pokemon...sure ghost is the best defensive stat except..there are no such pokemons! Based on that table Dragonair would be the best defence as it is Dragon only. These people assume all pokemon will have their main type attributes as a skill. But the reality is, pokemon in pokemon go can have a variety of skills. Making some pokemon very unpredictable. It's not like they rub each others skin till death. They come with their own skill sets that vary on some pokemon. TM's are not implemented in this game. Although in the original pokemon game, that made pokemon more diverse and was how the competition in PvP began. Not all players were equal and this website just makes me cringe. I noticed that not all of the possible skill sets were added in the pokedex or taken into account when saying what would be best defensively or offensively. Pretty inaccurate information, like the person above me said, not all Pokemon have stab moves. Arcanine and Gyrados for example often have bite which is super effective against ghost types, many other Pokemon have lick or shadow ball as well further increasing the number of Pokemon who can hit ghost types super effectively. What should be done instead is a summation of all the moves used by each Pokemon, for example Arcanine would have 3 fire type 1 dark type and 1 ground type move. Then out of the total number of moves from all Pokemon you find the percentage of those moves that are fire, dark ground etc. so you know what the true defensive power of a type is. Taking it a step further you could also weight those numbers based on the CP of the Pokemon with those moves. Multiplying the number of moves by the max CP of a Pokemon so that an Arcanine would contribute something like 8949 to fire type offensive power, 2983 to dark, 2983 to ground etc. Multiplying those scores by 1.25 to account for stab would also further increase the accuracy of the results. That way a Growlithe won't carry the same weight as something like an Arcanine when looking at the offensive power of a Pokemon. In my opinion opening up a trade market won't make the game more diverse, it would destroy it all together. Depending on how the trade market system is set up I forsee a lot of trades between hackers making the real players who grind it out even more frustrated. For example... Hacker1 has found all pokemon, now has to find a way to not get banned after all the hard work He/she spent sitting in bed teleporting across the country, he/she opens up a legit account and trades to himself/herself all the pokemon they've collected from hacked account by posting up a unique pidgey for said Dragonite in the market, no one is dumb enough to trade a Dragonite for a Pidgey so they know that's their account. Bam... Now you have a player level (5) with a maxed out Dragonite, rinse and repeat.. This is why I quit War of Legions, Dark Summoner, the trade market completely destroyed the game. Unless they can find a fair way to trade I suggest no trades at all. In the chart where you determined the type with the best defence, you countered each pokemon based on other pokemon's types, not their attacks. Which means your result is close, but not realistic. If you had instead tallied up the number of attacks of each type, then used that data, the chart would be much more accurate. Also, you failed to account for dual type Pokémon. This includes your final result, which was a ghost type according to you, when it is actually a ghost poison type which, is not as strong as a pure ghost type. 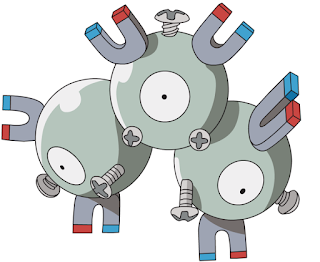 In actuality, when accounting for dual type Pokémon, Pokémon such as magneton and Dragonite always come out on top.